Italian brand Superga has really made a mark this year, especially after their Suki Waterhouse collaboration which I featured in one of my wishlists. I never did get my pair #fashionregret. Having created their Classic 2750 Lace-up pumps in 1911 the brand. They have since adapted the range into flatforms, slip-ons, slim sole and mid-tops. A few weeks ago, they opened a store by the Clocktower in Brighton, replacing Peter Andre’s coffeeshop. The shop itself is very minimalist with industrial looking pipped shelving units against the walls. One side is filled with the women’s’ range, beautifully laid out in a rainbow formation. They also have some gorgeous patterns, including some Liberty prints and metallics. On the other side is the Mens’ Collection, there is slightly less choice. I fear that flatflorms haven’t quite reached mainstream male fashion. However, there is still plenty to choose from. To mark their opening Superga allowed me to choose two pairs of shoes from their collection. I was going to be selfish and choose both for myself, there was definitely enough choice! But being the loving wife I am, I got Joe a pair. I got him a pair of Black Classic 2750 with the Black sole, he wore them immediately and got them filthy, so no pictures I’m afraid. As you can see I went for this lovely Lilac pair, I was immediately drawn to this colour. When I got them home and looked at the box I realised the colour just happened to be called Lilla! These have joined the ranks of my day to day shoes, alongside my Vans and Converse. They are just soo comfortable. Also to mark Gay Pride (Brighton’s event of the year) they have created a new Limited Addition pair of shoes. 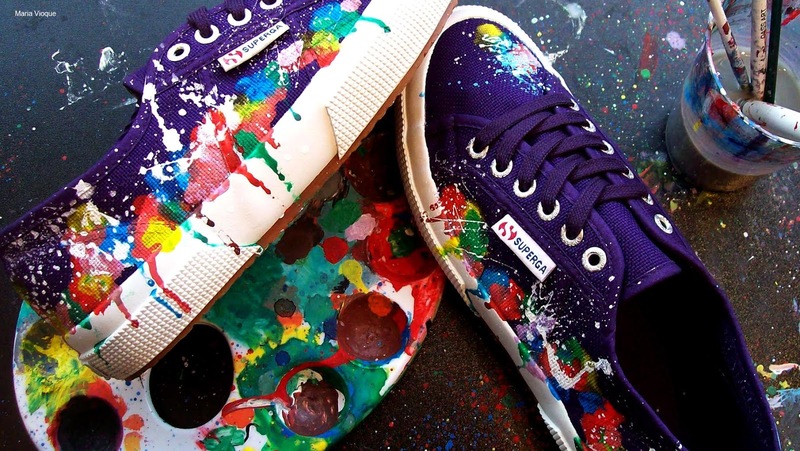 If you want your own pair, just pop into the store or give them a call to order a pair of classic Superga 2750s customised with rainbow paint splatted by Superga’s artists. 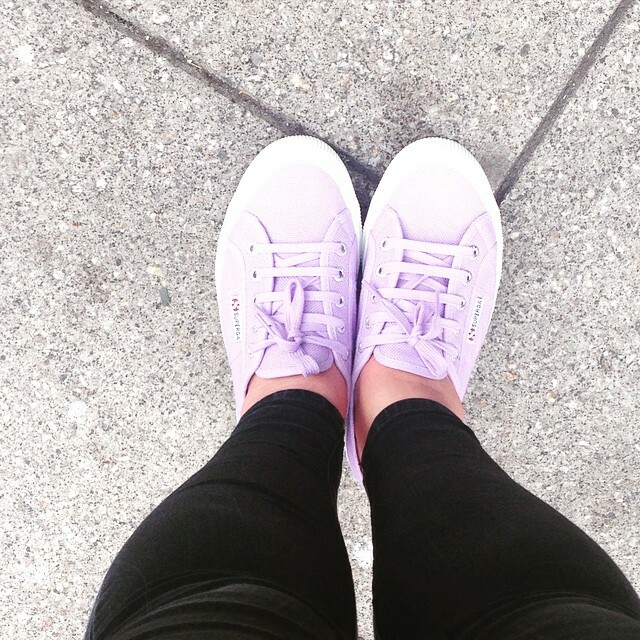 Have you visited Superga yet?